Just because it’s frozen doesn’t mean it isn’t fresh. I love fruit and this Healthy Peach Frozen Yogurt is sweet, tart, and delicious all spooned into one refreshing bite after the next. The summertime is the perfect time for frozen treats, and frozen yogurt is one of my favorites. 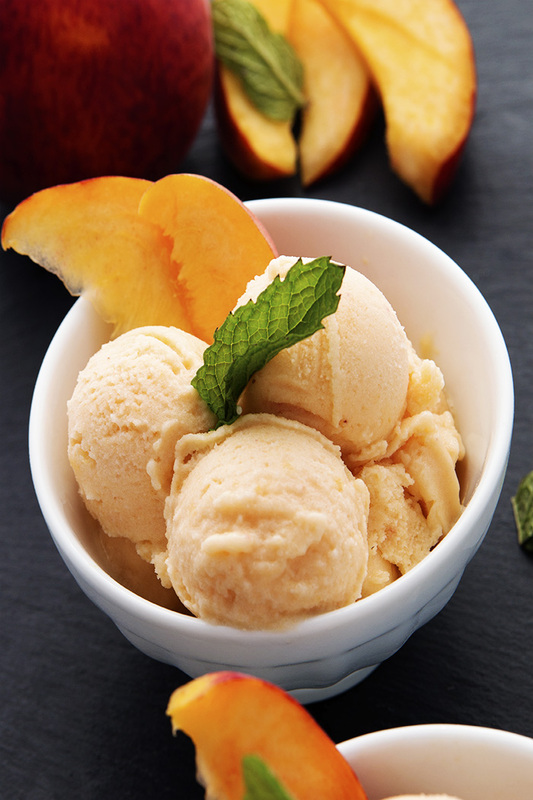 This Healthy Peach Frozen Yogurt is not too sweet and just the right amount of tart to cool anyone off on a hot day. It is so simple to make and really only takes about 5 minutes to make. It is almost like a cream sickle, but its made with all natural ingredient. 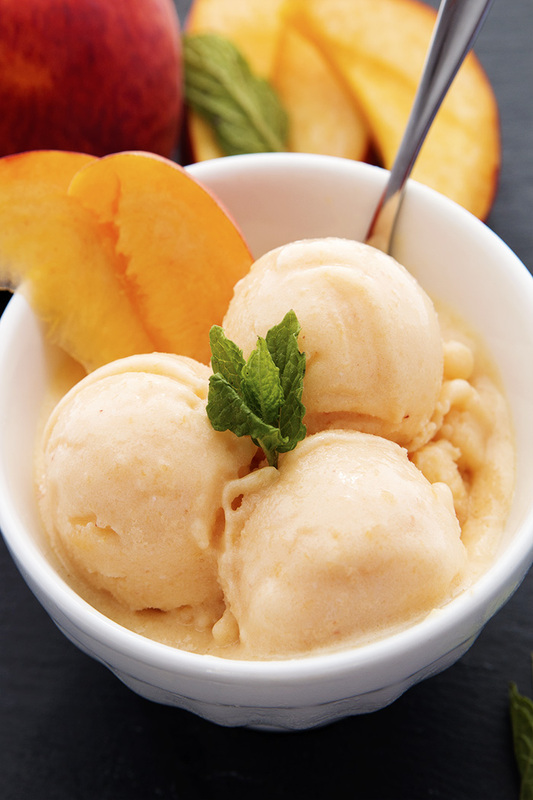 Healthy Peach Frozen Yogurt is creamy and perfect served with fresh peaches. It is a lite and satisfying dessert when you are looking for a sweet treat without weighing you down. You could sweeten it up with a little chocolate sauce or whipped cream, but on its own it is simply delicious. 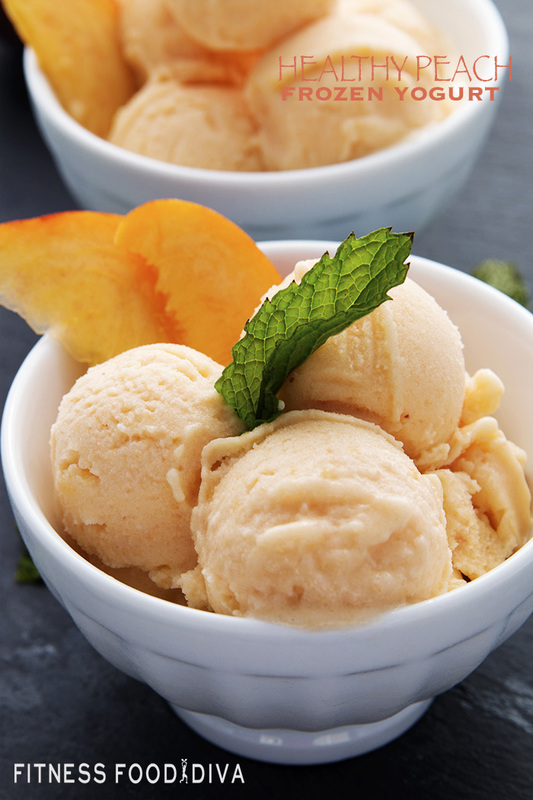 Healthy Peach Frozen Yogurt can be stored in your freezer, but I promise you there won’t be any left to store. 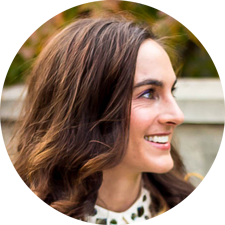 So if you are looking for a sweet treat, don’t be afraid to spend 5 minutes on this Healthy Peach Frozen Yogurt, I promise it will be a big hit to all kids young and old. A sweet and healthy way to cool off this Summer. Serve the frozen yogurt immediately and top with fresh mint (optional). *Can be stored in an airtight container in the freezer for up to 1 month. I am trying to loose weight saw some recipes you have going to try them.